Vermin Scooter Shop: MINI SCOOTER GIVEAWAY! WIN A MINISCOOTER WITH THE NEW DEATHGRIP SKULL CLAMP! 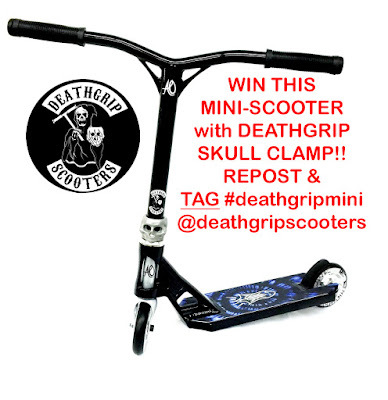 GO TO INSTAGRAM @deathgripscooters and repost the notice!